Spring Break Agency Exclusive Deal! Spring Break is less than 6 months away! A Time to Treasure Travel has exclusive pricing on several resorts for stays between the dates of March 25-April 3, 2015. 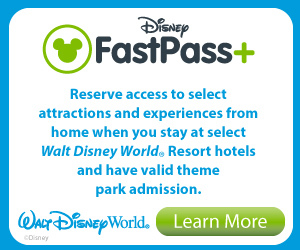 For example: Right now a family of 4 (2 adults and 2 children ages 3-9) can visit WDW any 5 nights between March 25-April 3, 2015 with 5-day park tickets, a FREE water park visit, and the Disney dining plan for under $2,900 – that’s all-inclusive! This package price is valid for Disney’s Coronado Springs Resort (pictured above) . No other agency can offer this package at this time. Exclusive pricing also available for Pop Century, All Star Music (rooms and suites), and the deluxe resorts of Wilderness Lodge (pictured above) and Animal Kingdom Lodge. Email me for a custom quote.